The bathroom and shower were excellent. Good pool and leisure area for those partaking. The location was great, an easy walk to the shops and restaurants. The pool area was good. Overall the hotel exceeded my expectations. It was very quiet at night and had good air-conditioning. 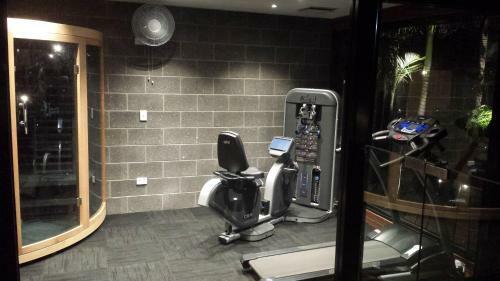 Good location close to wineries and restaurants, very comfortable and well equipped clean room. The location of the property is ideal. Walking distance to anything you need. Very well located in main street. It LOOKS very "designer". Good quality fabrics in cushions, bed cover and upholstery. Gardens looked well thought out and were well- kept. Personal service. They also came to our rescue late at night when we became hopelessly lost walking back from an event. Thank you so much!! Great spacious apartment, huge bathroom with large spa bath. Continental breakfast supplied. 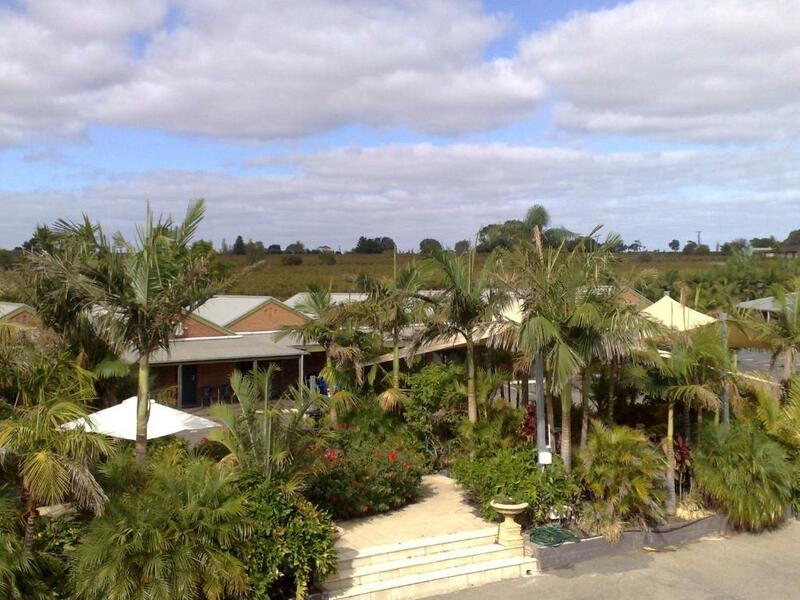 Great location- easy access to drive around the wineries and a short walk up the road to pub, restaurants and shops. 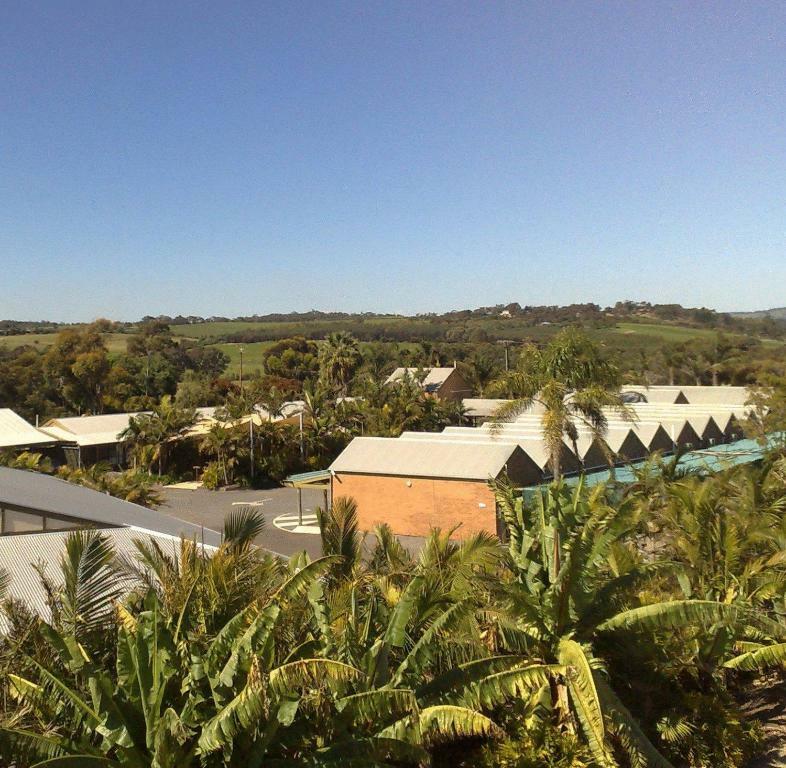 Lock in a great price for McLaren Vale Motel & Apartments – rated 9 by recent guests! 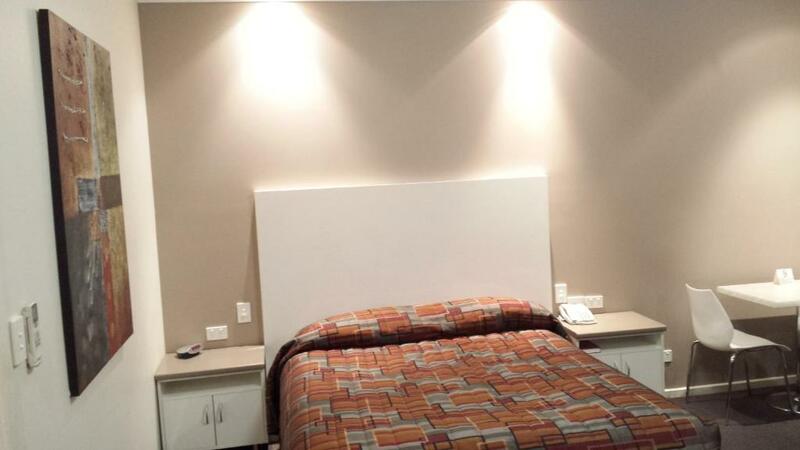 McLaren Vale Motel & Apartments This rating is a reflection of how the property compares to the industry standard when it comes to price, facilities and services available. It's based on a self-evaluation by the property. Use this rating to help choose your stay! Located in the heart of the McLaren Vale wine region, McLaren Vale Motel offers spacious accommodations with modern appliances. 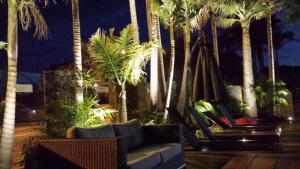 It features an outdoor pool, barbecue facilities and free parking. McLaren Vale Motel & Apartments are a 5-minute drive from the beach, offering stunning sunsets in the evening. Willunga Markets, featuring many gourmet food and craft stalls, are 15 minutes’ drive away. Well-appointed units come with air conditioning, cooking and ironing facilities. A flat-screen cable TV and DVD player are also provided. To relax, there is a garden area as well as sauna room. Staff can assist with laundry needs and luggage storage. Guests can start the day with a hearty breakfast served in rooms. Alternatively, there are 6 restaurants located within 2,650 feet of the property. When would you like to stay at McLaren Vale Motel & Apartments? This air-conditioned room features flat-screen satellite TV and a DVD player. It also has a kitchenette with a microwave, a refrigerator and tea and coffee making facilities. This refurbished air-conditioned room features a kitchenette, a spa bath and a flat-screen TV with satellite channels and a DVD player. This studio features a well-equipped kitchenette and a laundry. This studio features a king-size bed and a large spa bath with mood lighting. This offers a spacious living area, 2 flat-screen TVs, a shared bathroom and 2 vanities. Large apartment features a separate lounge/dining area with a comfortable sofa suite. 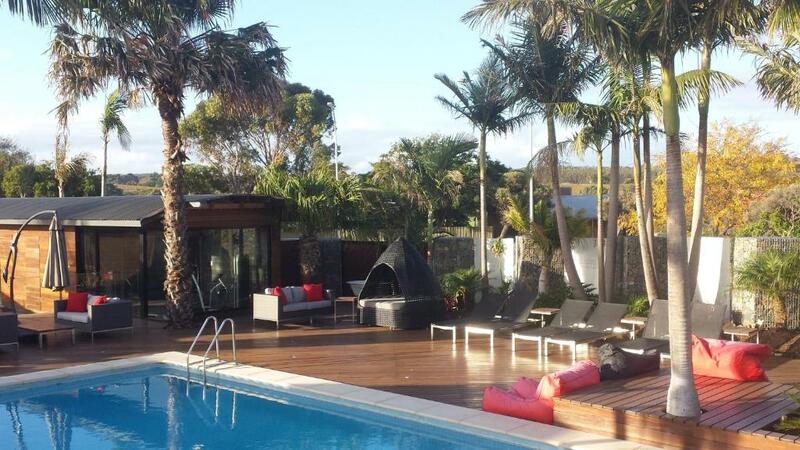 Great McLaren Vale accommodation. Family owned and operated since 1981. 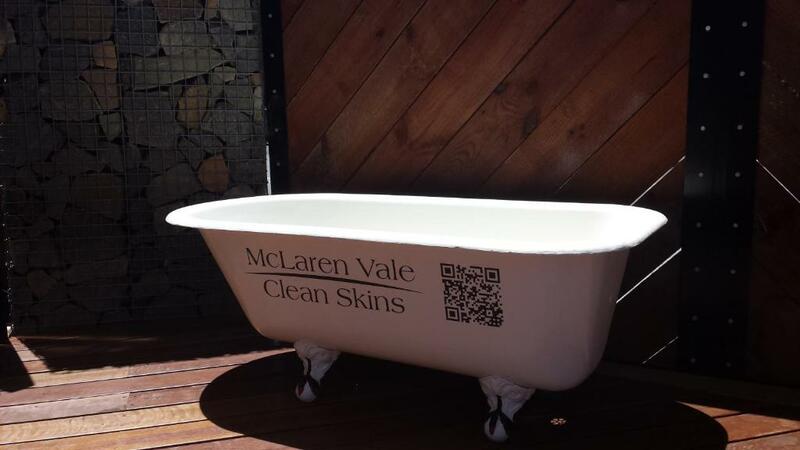 House Rules McLaren Vale Motel & Apartments takes special requests – add in the next step! McLaren Vale Motel &amp; Apartments accepts these cards and reserves the right to temporarily hold an amount prior to arrival. McLaren Vale Motel & Apartments accepts these cards and reserves the right to temporarily hold an amount prior to arrival. You will be contacted with the property address and key collection details via email. Please note that the full amount of the reservation is due before arrival. Golden Chain Motels will send a confirmation with detailed payment information. After full payment is taken, the property's details, including the address and where to pick up the keys, will be sent to you by email. Microwave above eye level, dangerous re hot foods & it hard to see which button was which without standing on a chair!. 15cm between opened louvre door and bed, making it extremely difficult to get a case in. Tiny kitchenette area and crockery etc nearly 3m away under the tv. Only one armchair. Nowhere to put cases.Two car parking spaces over the path from street to the apartment, with path continuing either side. The patio in front of the door was so narrow that anyone sitting on the two small chairs runs the risk of tipping backwards into the hedge. Style over functionality over and over. We were charged an extra $10 for staying Friday night, which should have been disclosed when the booking was made. Exceptional accommodation with every comfort catered for. The apartment was roomy, well equipped, well laid out and comfortable. Excellent staff. Good location. Lovely area. Great location and facilities are lovely- i.e. pool and outdoor area, spaciousness rooms. Clean and convenient to the centre of McLaren Vale.